Toric lens implants, also known as toric IOL, have evolved as one of the most advanced technologies used for correcting astigmatism in cataract patients. They are especially designed for patients who do not wish to wear eyeglasses constantly after surgery. Toric lens implants are helpful in improving your distance vision without the use of eyeglasses, and the Trulign Crystalens toric can also allow a range of focus for intermediate and near vision. Similar to toric soft contact lenses (used for correcting astigmatism), the toric intraocular lenses carry varied powers in different lens meridians. They are used for correcting the eye’s asymmetric power, typically associated with astigmatism. Astigmatism is caused by uneven curvature of the front of the eye. The eye should have a shape that is round in all directions, like a baseball. With astigmatism, the front of the eye is shaped more like a football, with a steep curvature in one direction. There isn’t much difference between the cataract surgery done with toric lens implants and the cataract surgery performed with traditional intraocular lens implants. But there are definitely some critical differences. 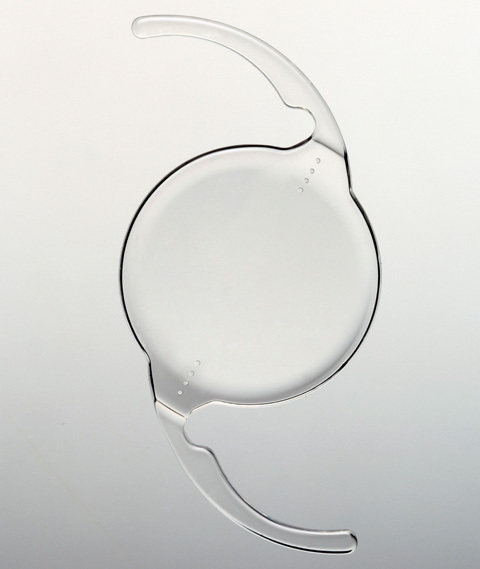 An intraocular lens, also referred to as IOL is essentially a small, artificial lens that is used for replacing the natural lens of the eye which gets removed in the course of a cataract surgery. Toric lenses are designed for correcting astigmatism. Toric intraocular lens implants carry special markings on the exterior part of the lens. This way the surgeon can see the astigmatism correction orientation in the lens. After implanting the toric lens in the eye, your surgeon will rotate it to properly and align the astigmatism correction for optimal results. Before beginning surgery, the surgeon will take measurements so as to pick the most suitable toric IOL power for the patient. He/she will also decide on the required implant orientation in the eye for successful correction of astigmatism. Toric lenses have greater power in one of the regions in the lens and hence correct both astigmatism and distant vision. Owing to the differential lens powers, astigmatism correction using toric lens implants requires the positioning of the lens in a highly specific configuration. It is vital to remember that toric lens implants might not eliminate all the astigmatism (particularly if it is severe). The remaining astigmatism can be corrected with the help of weaker eyeglasses or with laser vision correction. Also, just like the traditional lens implants, toric lens implants also carry “single focus” lenses. This means that the patient may require reading glasses despite good distant eyesight. But toric lens implants to enable patients to enjoy better vision without eyeglasses.